Before every journey, one of the major concerns a traveler faces is catching his flight on time. Getting late for a flight is every traveler's biggest nightmare and something we at SelectDFW wouldn't want you to be caught up in. Presenting to you Dallas Private Airport Transfer! We help you make it in time for every flight. When you make your bookings with Dallas Airport Transportation, you prepare yourself to make it in time to the airport to catch your flight. When you give us the time and place for you to be picked up from, we make sure that a uniformed chauffeur is waiting to greet you, welcome you into the limousine or car you selected and drive you to the airport. Our drivers know their way around the city well; therefore, they take the best possible and the fastest route to get you to the airport. 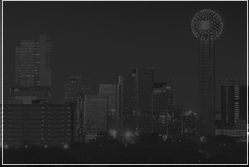 You can blindly trust Dallas Airport Car Service and be 100% sure that you will not be late. So, the next time you book your tickets for a holiday or a business trip, don't forget to call Dallas Private Airport Transfer the very next minute and make arrangements for your journey to the airport and back. We are looking forward to serve you!